I have been a teacher for 25 years, a Headteacher for 10 years and, at the age of 49, this much I know about accurate terminology to describe students’ effort. Words matter. And in a school, words which describe student performance matter more than most. Life for students is getting tougher. Success in public examinations over the next few years will require concentrated, dedicated study of a nature unrequired for at least one if not two generations of students. We are living in a non-coursework, terminal examination world but too many students are still learning with modular-assessment brains. Committing huge amounts of learning across ten or more subjects to long term memory requires deliberate, sustained effort. Effort is the key to success. Anyone who has attempted to become good at anything knows the veracity of this maxim. As I said earlier, I am uncertain about the term Insufficient Effort. A word which is appropriate for the new, tougher world of terminal academic examinations. If we can find a word which meets these criteria and which will cause less anxiety amongst parents and students then we’ll change. Even our core values don’t help! In a Growth Mindset school which promotes the values of Respect, Honesty and Kindness, Insufficient is honest but perhaps not kind? I’m genuinely unsure…What do you think? Why not use the Ofsted term “requires improvement”. Still on the Ofsted theme, “inadequate” may be a better word than “poor”. Or just number the grades 1-4 so readers have to refer to the descriptors. I want to describe the effort not the student: RI suggests that the student requires improvement. We’re trying very hard to get away from numbers so that students and parents read the words. Bleugh! Have you not read this blog before? John is desperately trying to get away from Ofsted-speak and to stop kids feeling like they are just cogs in the inspection machine. They need words that actually mean something to kids and their parents, not more jargon. Playing Thesaurus Roulette, in two clicks I can get from insufficient to “pitiful”, “contemptible”, “embarrassing” and “defective” among others. I don’t think that Microsoft Word has really grasped the nuances here! The only offering it could give that seemed to remotely fit the bill was “mediocre”, but I’m not sure that’s a huge improvement. And a warm hello to you too, Stevie D.
This has been a fantastic discussion and I think I agree most with Bed Tulloch about the dangers of labelling, particularly with just a single word. Yes words do matter and in a life without levels we have a chance for words to do more and say good bye to a number and sub-level. We are moving to descriptions of what sort of learner they are which is tied of course to effort but not solely effort as we too try to follow the Growth Mindset and put the emphasis on success being about how they learn and not what lump of ability they have. I think we should start calling a spade a spade. As long as parents are aware of the “criteria” for the description of insufficient and are aware why we need to stop praising where praise is not due. Important that all staff have a good grasp of raising that bar high enough within subject areas and across the school. That is where criteria problems arrive. Good luck. I admire your work from afar. I don’t see a problem with the term insufficient effort. It fits, it works, it may have negative connotations, but not as negative as continuing to put in insufficient effort. Yes – I feel similarly in many respects. I agree as well. I think in today’s day and age we tend to almost “baby” anyone under 16. “If you were to put “insufficient” on a report card it may affect the students’ self esteem for their entire life!” is the general consensus. I think having a lazy work ethic will affect the child more than a word on a report. There seems to be quite a big gap between good and insufficient. We have a four point scale too with the third category having very similar descriptors.We call them outstanding, motivated, coasting and inadequate. Each data drop (every 7 weeks) average points are calculated (4,3,2,1) and those with 3.0 and above are part of the ‘trinity’ group which give lunch/other privileges and an achievement badge for the tie. It didn’t take long for students to realise that they needed to be motivated and above. Students with a 2.5-2.8 average in a data drop are given mentoring to try and help them secure the higher category next time. That’s really useful. Thank you! Maybe the issue is with the phrase as a whole rather than the word. The phrase makes a leap of judgement that the student has not put in enough effort but how are you measuring that and at what point was there a lack of effort? If they have knowingly just not tried then I see nothing wrong with letting them know. Perhaps the student could be given a checklist of the required processes that they should have gone through that would have produced the required level of effort. If they fill this in honestly then they will see that they could have put more effort in then there is no need for the word at all as they would be making the discovery for themselves and would also have a piece of scaffolding that they could use for next time in order to improve? Perhaps we need to remember that it is not a personal quality or intelligence that is being graded or commented on, but something that is within the pupils’ control: their effort level. For this reason I would argue that ‘insufficient’ is acceptable. You could consider ‘minimal’, to repeat or mirror the wording in the level descriptor. Will these be shared and discussed with parents before implementation? In my experience, parents have an idea that their child may not be putting in their best effort and as long as there is transparency and suggested strategies they could use I’m sure they will be largely supportive and understanding. I usually find that the parents that are sensitive about this terminology are those that don’t quite know how to help their child. Yes. I think I agree with all you say here. Thank you! I guess that if a student is putting in ‘Insufficient’ effort it is unlikely that they will achieve at the level that they are actually capable of? They won’t fulfill their potential in the exams. I’m intrigued as to what the two categories above this indicate? Does Good mean that the student is likely to achieve their potential? And, if so, what about Excellent? 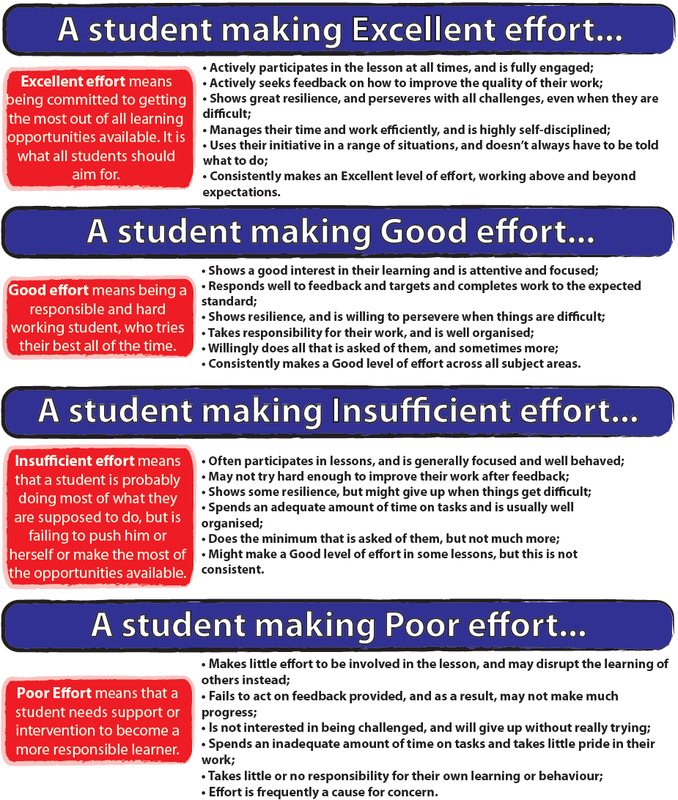 Are the latter students over-doing it…..because if Good achieves the potential, then what extra would Excellent be? Suggests that there should be only three categories: Good (very likely to achieve potential), Insufficient (unlikely to achieve potential) and Poor (won’t achieve potential). In this context, Insufficient is clear, but positive……there is a need to increase effort otherwise full potential (which is within reach) won’t be achieved. Clearly, Poor is pretty negative and indicates a significant change in attitude is needed. I think that three categories, rather than four, around a very focused criteria (fulfilling potential) also helps to put the Insufficient into context and make it more acceptable as a term? 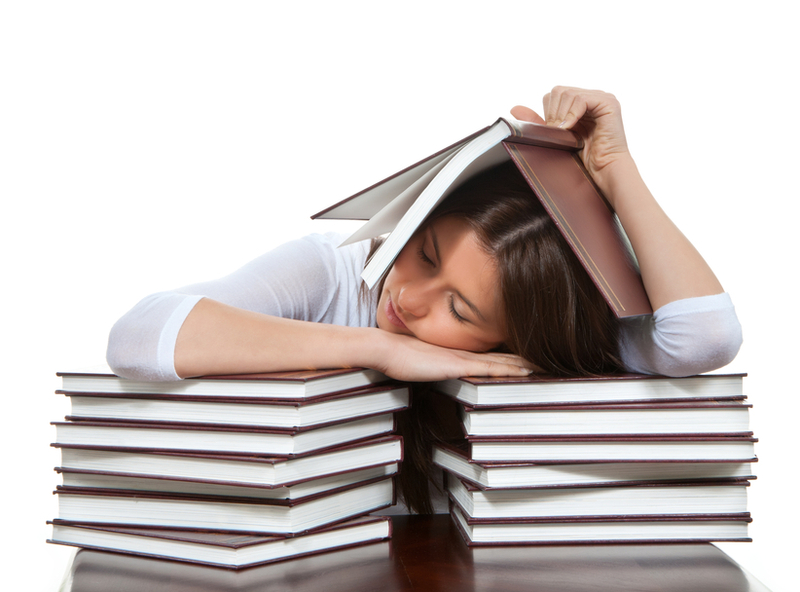 The problem I find is that, depending on starting points, the effort required to reach a desired outcome in the terminal exams will vary student to student. So how do we measure this effort so that the descriptors are fairly and accurately assigned to students. I wonder if there will be a correlation between effort grade and performance grade? Or rather, do more high current attainers get higher effort grades than lower current attainers? Or is the desired long term outcome sometimes ignored in order for encouraged short team improvement in effort with effort being more individualised/ less consistent; for example Sarah is now making good effort because she now actually brings a pen to lessons, concentrates without disrupting and does her homework? Or do we use a tick box; need to tick all boxes at one level before being considered for the higher level. Or a best fit model? I don’t believe in student target grades but would suggest a little experiment. Don’t tell the teacher the target grades for a few weeks, let them teach and complete the effort assessments, then give them the student target grades and see if they still think their effort grades are correct. I understand the problem with the label as “Insufficient effort” is seen by many students / parents as being synonymous with ‘lazy’. It is easy to have a conversation with student / parent saying “currently you are here , if you continue to work as you do now you will probably achieve at grade C say, to achieve at higher than this you need now to ………”. It is not easy to assign one word to convey this. I would suggest that by moving from 5 to 4 descriptors the third one will always be below halfway so is a negative comment whatever it is called. From a half empty point of view – it’s only just above poor! I will post all the descriptors and see what you think about the others. Thanks for such a thoughtful response. I am enjoying reading the replies and your other descriptors. Interesting that you consider many will fall into the third category – you are obviously raising the bar. It reminds me of transition from GCSE Maths to AS level maths when some students who thought they were good or excellent learners suddenly realise that the level of effort they put into GCSE now puts them in the ‘unsatisfactory’ category until they learn to up their game considerably. I have now decided that it is actually the word effort that I am having a problem with. I think I want to use the word endeavour. Effort? Trouble is, the more I think about it, the more unsure I become! I think insufficient is fine. What I would question is whether there is a big enough difference between the judgements of ‘excellent’ and ‘good’, perhaps in effect you have a 3 point scale and your word for ‘good’ needs reviewing? Will add the other descriptors later today! What about effort which is ‘developing’. It recognises that some effort is being made but highlights the need for improvement without the more negative connotations of ‘insufficient’. Some pupils may simply need a gentle push to remind them that more is required. Have to say in general terms I weary of the ways we try to put one word, defining labels on young people. We’re not labelling them, just classifying the effort they make in order to help them. Honest! Insufficient seems fine… Poor however…? Any word you use will quickly lose its meaning and just become a label… Why not use a numerical scale? Many thanks – will think about all the terms. The four grades rather than five seems to be a modern trend. Ofsted didn’t start it but, now they’ve gone that way, everyone is falling into line. I know the arguments about forcing a decision and not allowing fence-sitting. However, all that happens with middling performers is that they will be graded 2 by kindly optimists and 3 by hard-headed realists. Whether the glass is described as half empty or half full doesn’t affect the volume of water it contains. Very true. I guess it’s about emphasising the importance of being accurate and honest. I agree that raising the bar and making the reporting of effort and progress simple are crucial. It seems to me that your criteria make it clear that ‘insufficient’ means not there yet, rather than being negative. A couple of alternatives might be ‘limited’/’limiting’ or ‘partial’. Hi John – the four point descriptors work very well here I feel. Key area now is how you and SLT are going to get consistency from staff in applying the effort grades, most notably consistency between boys and girls effort. An interesting research would be to get students to rate their own effort grades, compare to teachers (Spearman Rank) and then compare to progress made. Good luck. I am interested that the student is only identified as needing support or intervention when the effort grade is ‘poor’. It may be that a judgement of ‘insufficient’ effort is also an indicator of a student requiring intervention or support, yet the use of ‘insufficient’ effort implies a ‘within student’ problem and solution (the student is not trying hard enough and should do better), whereas the problem and solution may be contextual. Perhaps the ‘insufficient effort’ could be reframed to indicate something that ‘requires support’, getting in early to prevent a descent into ‘poor’. Yes. We think, however, that a significant percentage are in the Insufficient category and will move out once we have raised expectations and explained what is required. Thanks for your comment. How about a traffic light? Could that be a subtle difference? Avoid the words? If you want a four point scale then have a purple at the top. Green is your good, then amber, your insufficient is a warning, read the descriptors to understand the nature of the warning. Helpful again – many thanks! Firstly, you suggest that the grades are based on what will be necessary for future exam success. That is fine from a teacher perspective – but several recent conversations with year 7 and 8 pupils have reminded me just how differently their time frames work. For them Year 11 is an infinity away. So is it wise to be making comments based on such (for them) distant, unknowable time scales – or should it relate to something a lot more meaningful? Secondly, your descriptors (particularly the top one) seem to discriminate against quiet pupils, who may not be constantly, outwardly seeking to engage but who may still be making very good progress. Thirdly, and more imponderably, are we all assuming too much in terms of the control children have over their effort levels? Levels of rational self-control at their age are not those of an adult – and God knows, sometimes if’s difficult enough even as an adult, to motivate to do what one knows one should! I was not a particularly hard-working pupil myself – but the reasons for that were neither laziness nor lack of awareness of what needed to be done – it was just that there were other things that interested me more – and personality factors that I don’t think were fully in my gift (or even awareness) to control. I’m not for a moment saying we should excuse downright laziness – but I wonder how much observed lack of effort really is just down to that. Whatever you decide, be careful not to judge children by mature adults’ standards! Good stuff – all helps our thinking – many thanks! Does inconsistent fit in with your approach? Excellent points made here and in the post. I am thinking: how best to measure effort objectively? How to place it in the context of the child’s whole lived experience? Is it possible to make huge effort and not progress if the effort is either ineffective and or misdirected. I would be interested in a subject teacher’s grade compared with the child’s self assessment for the same. If discrepancies arise it’s potentially rich ground in which to start a coaching/mentoring conversation. How about ‘limited’? That might allow for the notion that the lack of effort isn’t limited through the student explicitly choosing to coast, but by other interests, issues outside of school, or (one particularly close to my heart) chronic disorganisation. You could then say to a pupil that they are ‘limiting their chances of success’ or ‘placing limitations on their potential’. the experiences and outcomes for the level. apply learning in unfamiliar contexts. Might something like this work? I like Consolidating with its implications of an awareness of WHAT the student needs to do to get better and Developing rather than Poor gives them the idea that they ARE getting better and it is up to them to develop their skills using feedback etc. The wird thing this we are allowed to use these for tracking by teachers but can’t use them in reports to parents! Great stuff John and truly demonstrating a commitment to one of the key growth mindset principles. One point is that in these statements ‘making’ could link to an outcome whereas effort is more linked to the ‘process’ that leads to an outcome. Given you also have progress statements a suggestion in student language could be that ‘Jo regularly gives all-out effort’. (Descriptors could be all-out, good, below expected, poor). Thanks ever so – we’ve had some really constructive suggestions. Just wondered whether you had asked the students what they thought about this? I always run things like this past my teenage children who add a healthy dose of scepticism to my ideals! They were very quick to point out teachers who suddenly started using building learning power language if they thought there was a chance of an observation looming. Student B sits quietly, appears to be in another world, occasionally contributes to group discussions, but rarely ventures visibly into the teacher’s directed world. They are identified as ‘insufficient’ in terms of their effort and this disengages them from the world of the classroom a little further. Student A writes consistently, but the work has little developed meaning, despite the huge effort. Student B writes, but stops often: this work is concise and meaningful. If Student B isn’t mightily resilient we have an issue, early on they may well give up and dissolve into properly insufficient effort. Would they have achieved more with the generally accepted switched on behaviour expected in class? Is this similar to the expected teaching of teachers by OFSTED? Expected effort styles? Learning is so individual- I just feel one word is insufficient to describe effort in itself. Labelling effort with such blunt tools seems problematic. I liked the colour ideas and the statements? But even then can we differentiate effort enough to cover the spectrum of students’ idiosyncrasies? In the end, I feel that the notion of a single word limits how I could use the system to activate change for the range of students I meet. Strikes me that in this instance acceptable is regarded as minimal, when the norm is not regarded as standard. Echoes of satisfactory no longer being adequate. Does implication towards completing work to plan help ? I.e. Work not completed as planned, completed as planned, More work completed than planned, Exceptionally more work completed than planned. I’m late to the party, but I wanted to comment on your Good gloss “tries their best all of the time”. When my son’s school introduced effort grades I had a serious talk with him, saying people would tell him to do that and it’s nonsense. Anyone, child or teacher, who thinks they’re trying their best at all times is either heading for a nervous breakdown within weeks, or, FAR more likely, fooling themselves. 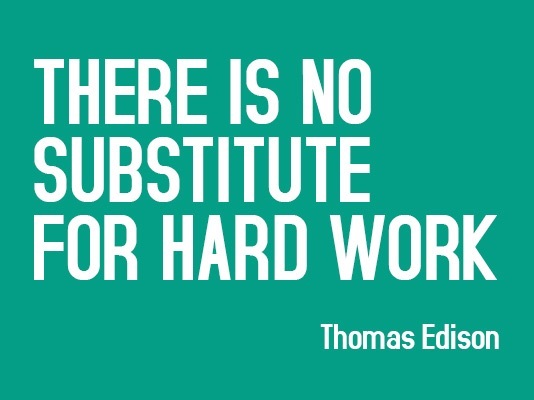 There’s a huge gap between a good, sustainable level of effort, and one’s absolute best. The latter cannot be sustained over the long term, but it’s crucial to know that it’s there, and to be able to call upon it when one chooses to do so! PS of course the fact that this gloss goes with the grade that isn’t even the highest is a giveaway that you don’t really mean it! This has really made me think, John…. I agree with the comment above that there’s too big a gap between ‘good’ and ‘insufficient’. (And that’s how I feel about Ofsted ‘good’ and ‘requires improvement’ too). Despite your reservations I WOULD go with ‘inconsistent’, especially as your descriptor makes clear that within this category are those who make a good effort in SOME areas, but not a sufficiently consistent effort to get where you know they’re capable of going across the range of subjects they study. If their effort is ‘consistently insufficient’ then it’s ‘poor’ and they fall within your final category. Just my thoughts to add to everyone else’s! You have a scheme which has “descriptor” “effort” – I remember my PE teacher exhorting us all about the need for determination (Roy Castle – Record Breakers had “dedication”) which spilled over into the rest of the curriculum. [Just like our RE teacher often dictated notes at a ferocious speed, which might not please Ofsted these days, but developed the skill of writing quickly which stop us in good stead elsewhere in the curriculum]. Such a descriptor would not need the word “effort” attached. Something like “undercommitted” might work – effort reflects personal engagement with the task, plus resilience in the face of setbacks etc. Obviously you might not like this as it does describe the pupil rather than abstracting “effort” – but it does describe the effort the pupil makes. I would also be interested in how your effort grades will relate to those whose capacity to engage is seriously affected by personal crises (e.g. bereavement, family break-up) – who may be giving their (limited) all and who don’t need any extra knocks. Cheating on the one-word I know but we use 1-4, excellent, good, could do better, poor. This relates to clear criteria encompassing effort, quality, progress, attitude etc. Pupils who push themselves to go the extra mile and extend their learning (such as by finding out additional information, investigating “what about if…?”, working out and explaining how new ideas are related to existing learning, or supporting their peers to achieve more or do the right thing), all the time or very nearly all the time. Pupils who do everything that is expected of them, all the time or very nearly all the time, and sometimes more. Pupils who usually do the right thing but, for whatever reason, could achieve more if they were more focused on their learning. Pupils who, whether they are learning or not, often slow or halt the learning of others, intentionally or otherwise. I suppose you could also replace “focused” with “dilligent” if you wanted “the four ‘D’s”. For my part, insufficient seems to convey exactly the right message. Including the word ‘currently’ in close proximity to it might help carry the idea of growth mindset even more strongly. The problem of the gap between good and insufficient is an important question, but it’s worth emphasising to students that actually good has to mean pushing themselves every lesson, which many seem to miss. Really interesting post, John, and one I found myself grappling with too at the end of term, whilst attempting to redefine our effort grades. We have 4 grades: O G S P. We’d already decided to change S to Requires Improvement. Ofsted implications aside, it fitted what we wanted, ie to be ‘Satisfactory’ implies just about good enough, which it clearly wasn’t. The 4th grade – as you found – was trickier. But then a colleague pointed out that ‘RI’ was the only definition that demanded action; the others were statements, which was fine for O and G but hardly suitable for P. It implied if your effort was Poor, that was how it stayed, like sitting on the bottom of the seabed. Therefore, after much discussion, we’ve opted for ‘Requires Urgent Improvement’ (U), adding to our definition that a U grade will always trigger an intervention. I should add, too, that although we as teachers recognise RI as ‘Ofsted-speak’, the students generally do not. It strikes me that it’s all down to the descriptors school use that will make all the difference, emphasising that it describes the effort, not the student. All of our descriptors are specific in defining effort in a variety of tasks & circumstances (sorry – don’t have time to post now but will later if anyone interested). Our letter descriptors are now O G R U which is the shorthand we’ll promote with staff, students & parents. I wonder if turning the descriptors on their head to focus on what could be improved might be a way forward. So, rather than ‘insufficient’, you have ‘significant potential to improve’ and the descriptor then talks about what the student needs to do differently. Puts more emphasis on what needs to change, rather than haggling over whether they are doing what’s in the descriptor or not.